A-List Startenders offers action-packed, fun, and most importantly, proven bartending courses. The thousands of graduates who have acquired bartending jobs all around the globe confirm our reputation as a top tier institution. 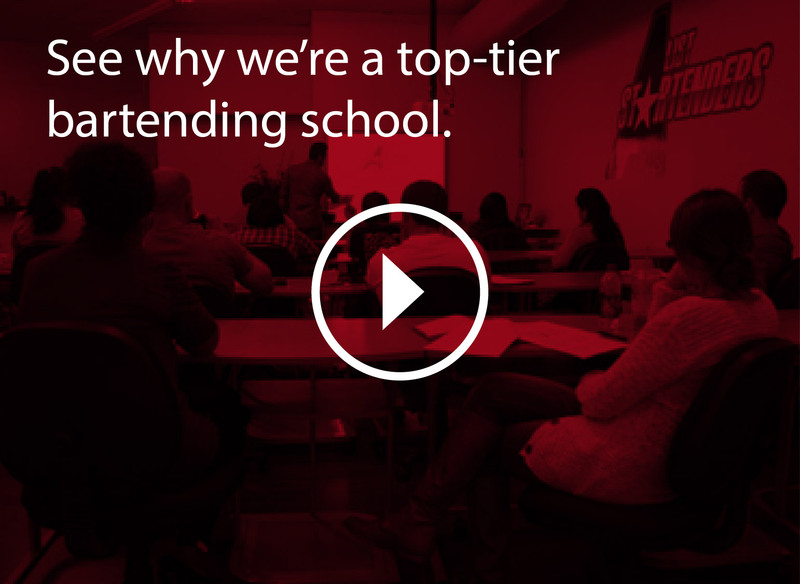 What makes us confident in saying that we are, hands down, the BEST bartending school in Chicago? State of the art learning environment! Learn all there is to know about tending bar in a modern classroom equipped with Smart Board technology. Effective teaching techniques! Instructional strategies are designed to help create speed, efficiency, and the muscle memory of a veteran bartender. It won’t be long before you will be pouring the perfect drink every time. Learn by doing! Everyone knows that practice makes perfect, so hone your bartending skills behind two fully stocked 40-foot long bars equipped with POS registers, CO2 beer taps and soda guns. Simulation training is key! 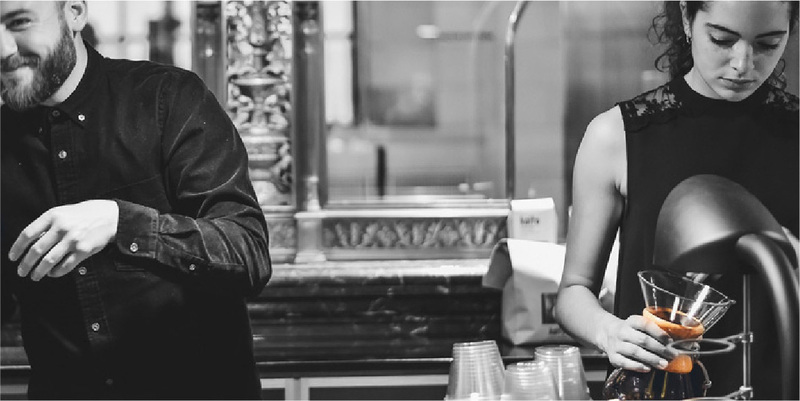 We create the scenarios and you experience the fast-pace of working the bar with actual customers, filling the orders in your service well, completing transactions using the register, and practicing all the hustle that tending bar in the real world entails. Quality over quantity! We maximize our hands-on approach by limiting our class sizes to allow for maximum practice time in your own personal well – no taking turns at the bar at A List. Mixing drinks is just the start! Besides learning basic cocktail recipes, our comprehensive course will teach you about the chemistry of the spirits, proper wine service, bar lingo, organizing your workspace, providing quality customer service, and responding to challenging, on-the-job situations. Bartending is an evolving craft. We consistently review and adapt our course content to stay on top of changes in the industry to ensure our students know about new techniques and emerging trends such as learning about the art of mixology to create unique, artisanal and culinary drinks using real alcohol. Stay at the top of your game! We offer unlimited refresher classes to help you retain your skills or learn new ones as the industry evolves. Serve responsibly and follow the law! Our course includes the Beverage Alcohol Sellers and Servers Education and Training (BASSET) course. Put your skills to work! Finally, we provide job assistance resources that include membership to our email direct job referral program. Additionally, we include a resume building session and walk you through the myths, the do’s and the don'ts of getting that first bartending job. Our school is unique and our reputation speaks for itself. We know that there are lots of bartending schools out there, but our industry contacts inform us that mention of these run-of-the-mill schools make potential employers cringe. Not so with A-List! Mention our bartending school and send a vote of confidence to potential employers who know that if you learn with us, you are starting the job with the polished look of an experienced bartender. If you want to experience the personal and professional satisfaction that comes with being GREAT at what you do, then come train with us and let A-List Startenders prepare you for the excitement, fun, and rewards of a career in bartending!